„In those cases, when it turned out that residency permit holders pose security risk, we carried out further investigations and also revoked the residency permits” – said Károly Kontrát, state secretary of the interior ministry in October, answering a parliamentary question from opposition MP Ágnes Vadai. – Atiya Khoury, the Syrian dictator Bashar al-Assad’s moneyman, who received a permanent residence permit after he was put on the U.S. Treasury Department sanction list. He is responsible for human rights violations, according to the US. Although the state secretary was asked about these specific Golden Visa holders, it seems he did not refer to them when he talked about the revoked residence permits. As no Syrian citizen appears on the list, it is very likely that the Syrian dictator Bashar al-Assad’s moneyman and his family members still have Hungarian papers. The Office of Immigration and Nationality had already suggested earlier that it was not planning to carry out any further investigation. However, in the case of Russian citizens identified as Golden Visa holders by the joint investigation of Direkt36, 444 and Novaya Gazeta, it seemed that further investigations are expected. After a closed meeting of the Parliament’s National Security Committee, opposition MPs suggested that the case of Sergey Naryshkin’s family members would be investigated. However, the data sent by the Office of Immigration and Nationality shows that no residence permits were revoked since then. Earlier, the residence permits of five Russian citizens were revoked. But neither the government nor the members of the Parliament’s National Security Committee mentioned that the Golden Visa holders named in our article were among them. Under the residency bond scheme that ran between 2013 and 2017, those who invested 250-300 thousand euros in Hungarian state bonds were granted a Hungarian residence permit. Hungary handed out 19,838 permanent residence permits for residency bond investors and their family members. 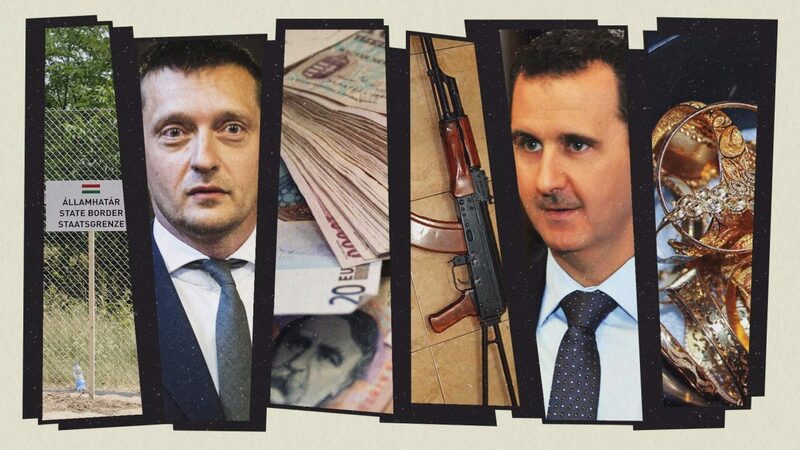 According to Hungarian authorities, potential bond investors were subject to a strict security screening (although it only took ten days – four working days – for the Syrian dictator’s moneyman to pass the security screening and to get Hungarian residence permit). The law creating the Hungarian residency bond program, initiated by Antal Rogán, a powerful politician of the governing Fidesz party and now the head of cabinet of Prime Minister Viktor Orbán, was rushed through Parliament without substantial debate in 2012 and quickly became one of the most controversial initiatives of the Fidesz government. The most heavily criticized aspect of the program was that foreigners did not invest in the residency government bonds directly but did so through designated intermediary companies with opaque ownership structures, handpicked by the Economic Committee of the Hungarian Parliament, led by Antal Rogán at the time of the program’s creation. Leaked documents show that people close to Viktor Orbán’s top advisor were also involved in the operations of one of those companies. According to calculations of Transparency International Hungary and the Fiscal Responsibility Institute Budapest, while the companies that sold the residency bonds gained billions of forints on the program, the Hungarian state lost 30 billion forints (93,2 million euros).